Pondmaster Carbon Coated Media Pad can be used with the following pondmaster filters: 1000, 1250, 1350, 1500, 1700 and 2000. 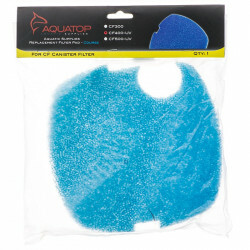 Carbon Filter Pads are reusable and washable. Used for mechanical and chemical filtration. 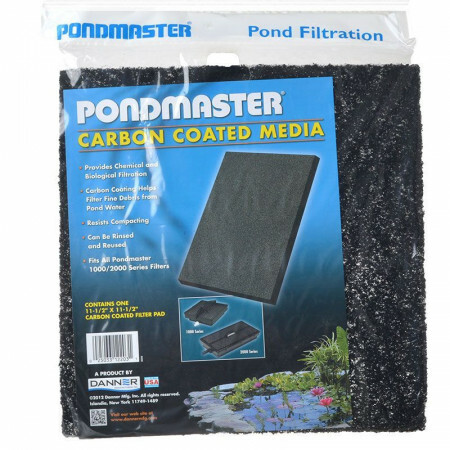 Pet Mountain is proud to offer discount bulk pondmaster carbon coated media pads for pondmaster 1,000 filter and pondmaster 2,000 filters. Product came on time and in perfect condition. 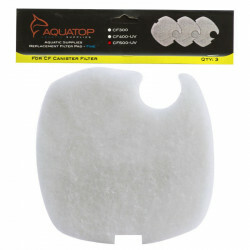 Have used this product, carbon filters, for years and they are a great product. Also, fast service from Pet Mountain. They are reasonably priced and work great. I have used them for years. I highly recommend. Have Been using since pond inception, 1995,wouldn't use any other. Excellent product and ease of use. 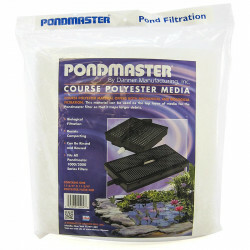 I have been using the Pondmaster System in Acapulco, Mexico for 5 years with great results. 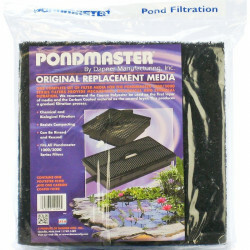 I have used pond master filters, and my pond is clean, it removes large portion of the debris that collects in the pond. easy to clean. These filters are great. Prices are reasonable. They work well when rinsed out and reused. I've been using this carbon filter combined with the coarse filter in my pond for 7 years, and my water stays clear all summer long!Great product! !